Wrightington, Wigan and Leigh NHS Foundation Trust has scooped two awards at this year’s Healthcare Financial Management Association (HFMA) annual awards dinner. The Trust took home the Costing Award following improvements made to the Trust’s costing processes that have led to an additional £1m of income thanks to better information for decision making. A focus on development from within the team also saw them being honoured with the Havelock Training Award. With a recently implemented continual improvement programme the team are aiming to ensure that all staff have access to the best possible career opportunities. 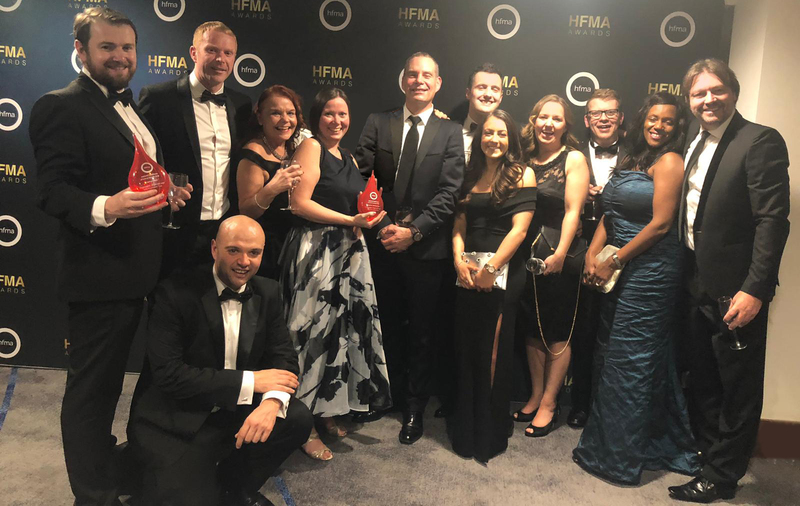 The HFMA awards, that were held at the London Hilton Metropole on December 6, celebrates excellence in financial departments across the NHS and, in being chosen as the winners, WWL saw off stiff competition entrants from across the UK. Director of Finance and IM&T Rob Forster said: “The WWL Finance Team is extremely proud of their success this year which is the culmination of much hard work, creative thinking, professionalism and teamwork right across the Trust. Rob added: “To raise the bar again with passion and dedication is something I both applaud and commend”. HFMA’s Chief Executive, Mark Knight, said: “This year saw a record-breaking number of submitted nominations for the HFMA Awards. The quality of the entries was extremely high again this year and so to be shortlisted, highly commended or to win is a huge achievement. Mark continued: “The award winners have all demonstrated innovation to help deliver efficiency savings and improve their services producing tangible results.